I had to go to thesaurus.com to come up with ideas for a new adjective to describe our ski day. I have to say impressive is a good way to describe Saturday March 28th at Saddleback. We are so impressed by how good this skiing has been for so long this year. 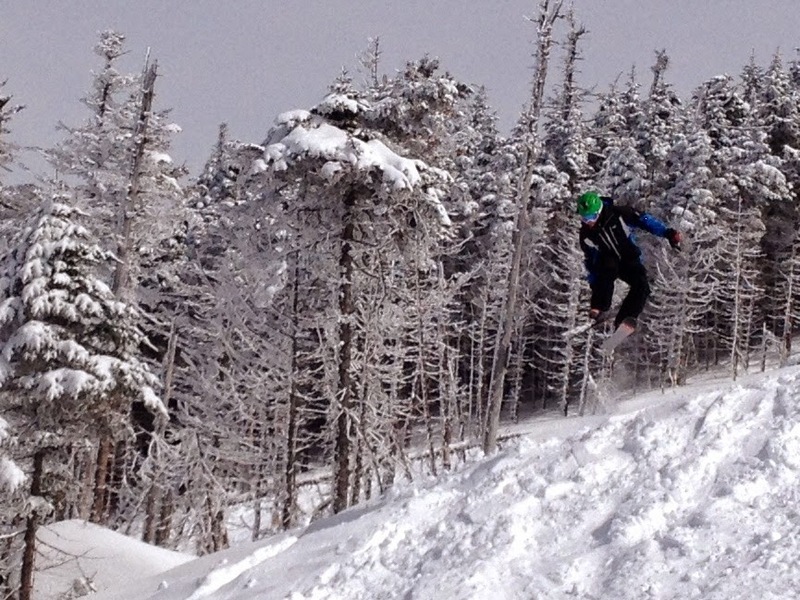 This is truly a ski season for the ages and I am really happy this blog has been a mechanism for us to capture it. Temps were comfy - in the upper 20's / lower 30's with the sun poking out from behind the clouds occasionally, but spring really hasn't started at Saddleback yet. No matter your ability today it was great skiing. 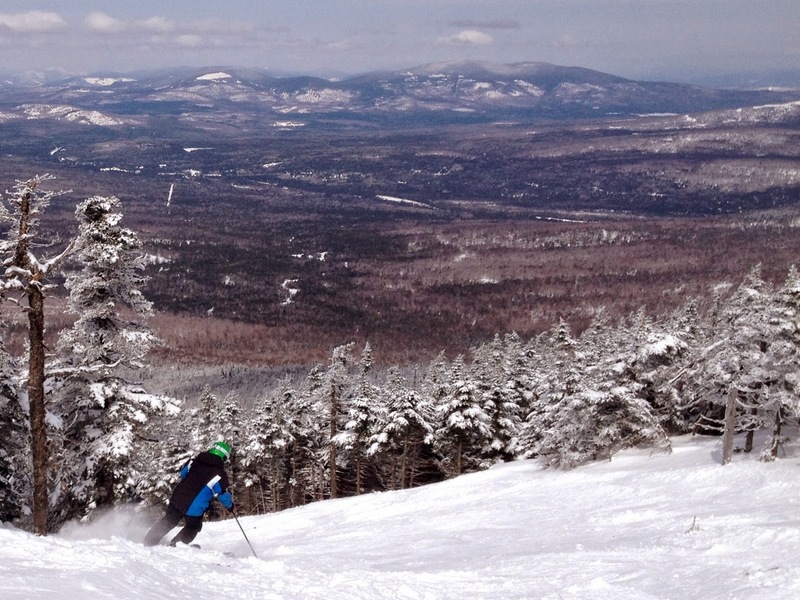 The cover is deep and the spring skiing should really be outstanding. Great crowd on the hill with lots of friendly smiles on peoples faces. After today Saddleback is open April 3,4,5 and April 11,12 from 9:30 to 5:00. They will be open longer into April if the people and snow hold up. 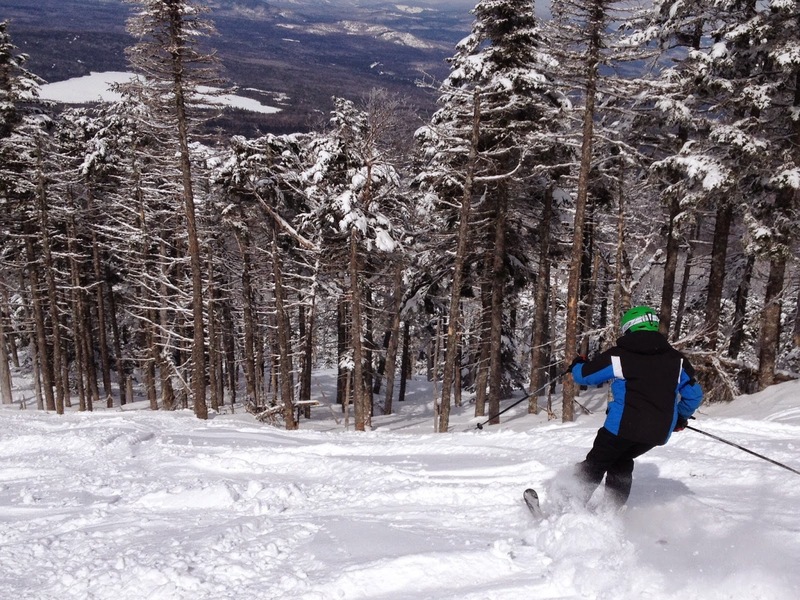 The snow won't be a problem, so everyone get to Saddleback for some awesome April skiing! I will let the pictures and video tell the rest of the story. 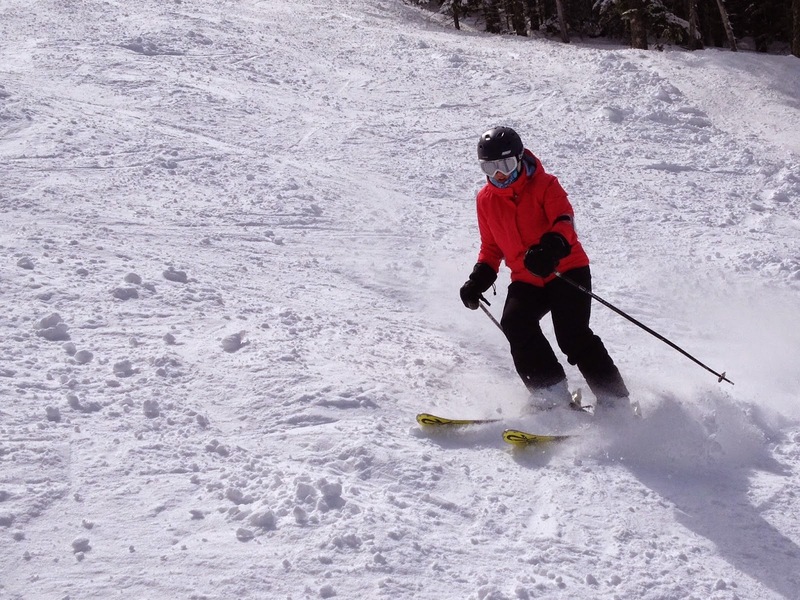 Juley Carving up the Soft Snow - This is March 28? Just an Amazing View at Saddleback - Never Gets Old! Saddleback - March 28th from Alec Salisbury Photo & Video on Vimeo. Amazing conditions like for end of March. Thanks for posting the pictures and the video. You bet! Hope you get a chance to ski it!